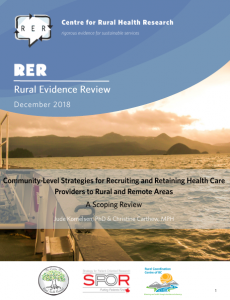 A scoping review of the international evidence, exploring community-level factors and strategies to facilitate and improve the recruitment and retention of health care providers to rural and remote areas. 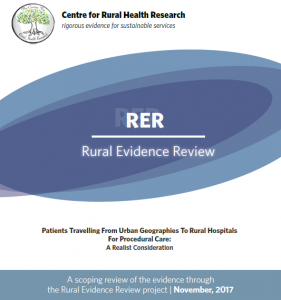 This review was conducted through the Rural Evidence Review project. 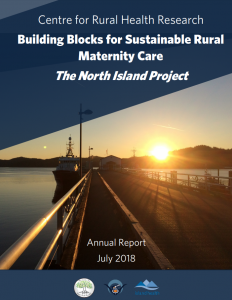 A report documenting findings from the Haida Gwaii phase of the “Logic Model Project,” a study was undertaken to develop evidence for supporting sustainable rural maternity care. There are currently no maternity services in Masset and maternity services without caesarean section backup in Queen Charlotte city. 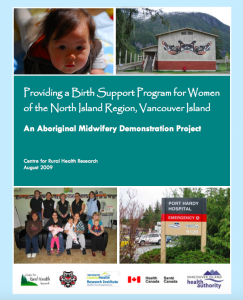 A consultation report on the potential for the implementation of an Aboriginal Midwifery Demonstration Project in the North Island region, commissioned by First Nations and Inuit Health (FNIH, Health Canada). 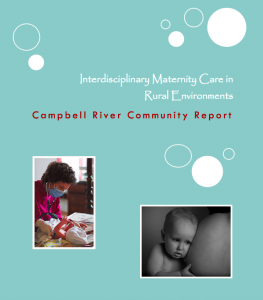 A report from the “Interprofessional Collaborative Maternity Care Project” looking at Campbell River, BC and local barriers to models of midwifery care in the community. 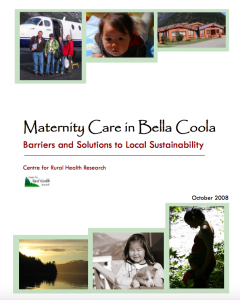 A report documenting findings from the Bella Coola phase of the “Logic Model Project,” a study undertaken to develop evidence for supporting sustainable rural maternity care. 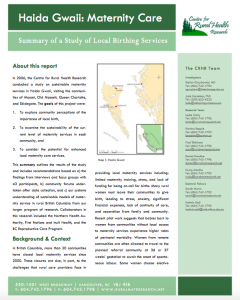 There is currently a moratorium on intrapartum services in Bella Coola. 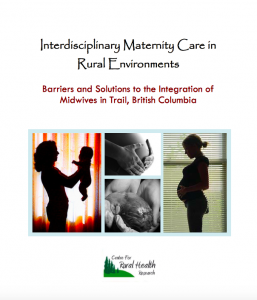 A report from the “Inter-professional Collaborative Maternity Care Project” looking at Trail, BC and local barriers to models of midwifery care in the community. 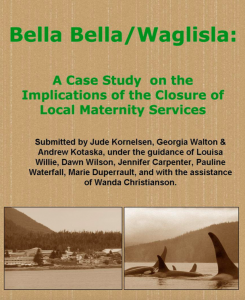 A report on the socio-cultural, financial, and health impacts on Bella Bella/Waglisla women of closures of local maternity services. 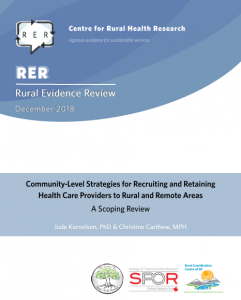 This Status of Women Canada Report investigated rural maternity care from the perspective of parturient women, care providers, health care administrators and local leaders. 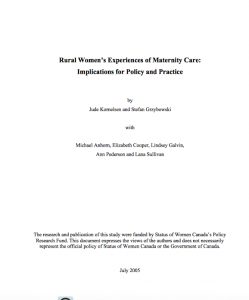 It was found that women’s experiences were bound in the complexity of relationships that were influenced by the attitudes and actions of care providers and the organization of health system services. The lack of clearly defined policies supporting rural maternity care was reflected in a tenuous infrastructure for local birthing. Literature on risk assessment provides a lens through which some of the findings may be interpreted.